﻿ How A/B testing Can Take Nonprofit Email Marketing To The Next Level » Red Mango Marketing! Message 1: Hey! Brunch at my place today. Your favorite fish n’ chips await. Message 2: I miss you so much. Let’s catch up at brunch today! Which one would capture her attention more, and convince her to ditch her beloved couch? Don’t you wish there were a way to test the most effective messaging ahead of time? Believe it or not, this is form of A/B testing. Are you ready to measure your success and understand your supporters? Join us for a free webinar: Measure Your Nonprofit’s Email Marketing Success with Reports. A/B testing, also known as split testing, is an extremely helpful email marketing strategy that allows you to create and send two versions of your email campaign. Both Option A and Option B are aimed at the same desired action with differences in terms of content, subject line, images, and many other elements. So, while the purpose of both the messages is to get you out and spend a day with a friend, one will be more rewarding, exciting or compelling to you. Just like that, when you send an email to your subscribers, certain aspects make them more compelling and get the desired attention. Well, just like what your nonprofit does is unique and diverse, so are your donors, volunteers and the people interested in what you do. Email marketing is a powerful tool for nonprofits to get more donations, RSVPs, volunteers and spread awareness about your cause. But it only works when you are able to really connect with your audience. With A/B testing, you can really get under the skin and learn how your subscribers prefer to engage with your emails. The first thing your email receivers see is the subject line, so it goes without saying that this needs to be the most impactful element of your email. Sometimes even though the content within the email is great, a bad subject line may ruin it all. For example, if you are sending out an email asking for donations you could take a direct approach and say something like, ‘Make a Difference; Donate Now’ or be indirect yet make an emotional connection with something like, ‘The puppies at the shelter need you’ and include a ‘Donate’ CTA within. Will one of these subject lines be more impactful? You can test and find out. Relevant visuals play an important role by supporting the text and also giving a peek into your world. Images in the email of your organization at work will make a better connection with your supporters and can give them the much-needed push to take the desired action. For example, if you are hosting a petting event at your animal shelter to raise money for supplies and maintenance, you could either put a picture of animals or a picture of your staff working at the shelter. But which one will work? A/B testing can help there. As one of the most important elements within an email, the CTA holds and highlights the whole purpose of an email. What is it that you want your reader to do? Most importantly, what CTA will entice your reader to actually go ahead and take that action? For example, you are holding an event and send out invites, the CTA can be ‘RSVP’ or something more casual like, ‘ I’ll Be There’. Use A/B testing to figure out which one drives more action. The design is important not just visually engage your subscribers, but also in terms of how easy to read your emails are. Is the font readable? Are the colors appealing? Is the CTA being highlighted? Does the image support the text? Everything makes a difference. Should the CTA be placed at the top of the email or at the end? Should the text be placed horizontally or vertically? Try out different designs then pick two that stand out and start A/B testing. While we typically recommend your emails to be short, sweet and crisp, short and sweet is also not really defined. Sometimes, a longer story may be needed to make the information more meaningful. What will work with your audience? A one line copy, a short paragraph, or more? Test to find out. This is really the most tricky of all but also very important. We all have a different style of talking and so does every brand, but that also means everyone has a different way of perceiving what’s being said. While for some a ‘Hey you’ greeting works great, others may expect a ‘Good Evening’. What is your brand’s tone and how does it resonate with your audience? What style of communication works best for your audience? Find out by testing. Wow! That’s a lotta’ things to test and experiment! I would suggest A/B testing one thing at a time to make every step rock solid; especially if you are just starting out with email marketing. Once you have an idea of what resonates most with your audience, make a record of it and use those guidelines for future emails. Do I want to run the test with everyone on my contact list or just a few of them? What tools do I have to measure the results of the A/B test? With Constant Contact, you can not only run great and successful A/B tests but also get a detailed report that will show accurate results of the test. You can measure all relevant and important metrics like Open Rate, Conversion Rate, Click Through Rate, Unsubscribers, etc. I recommend you never stop trying new ideas and testing new iterations. Things are always changing and so are your supporters’ ways of consuming email. Get started sending out impactful emails backed by the results of effective A/B testing. 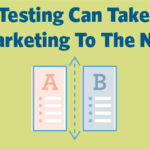 The post How A/B testing Can Take Nonprofit Email Marketing To The Next Level appeared first on Constant Contact Blogs. This entry was posted on Wednesday, September 19th, 2018 at 8:42 am	and is filed under Email Marketing, News & Updates, Nonprofit. You can follow any responses to this entry through the RSS 2.0 feed. Both comments and pings are currently closed.